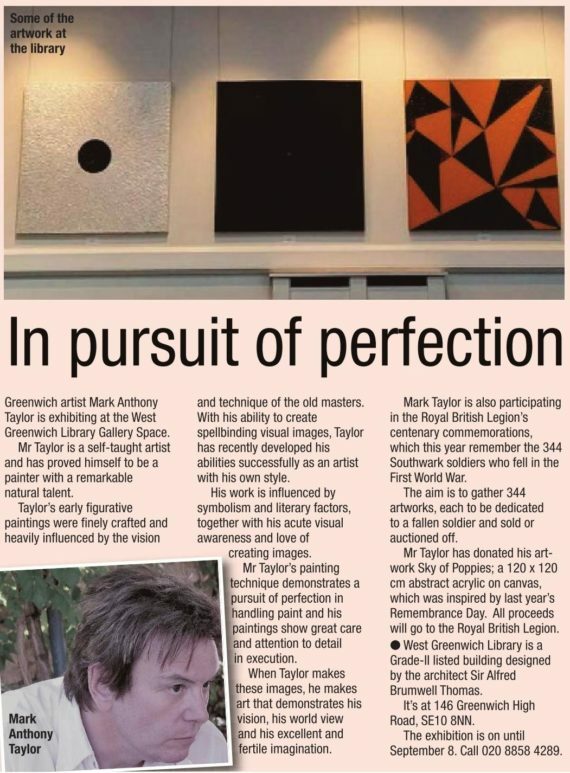 Mark Taylor is a self-taught artist and has proved himself to be a painter with a remarkable natural talent. Taylor’s early figurative paintings were finely crafted and heavily influenced by the vision and technique of the old masters. With his ability to create spellbinding visual images, Taylor has recently developed his abilities successfully as an artist with his own unique style. His work is iconic and is influenced by both symbolism and literary factors, together with his acute visual awareness and love of creating images. Taylor’s painting technique demonstrates a pursuit of perfection in handling paint and his paintings show great care and attention to detail in execution. When Taylor makes these images, he makes art that demonstrates his vision, his world view and his excellent and fertile imagination. Frank Bydawell Dip.A.D.